A few weeks ago the project was progressing nicely, though I had no idea how the next step regarding actually having a bike and side car was actually going to happen. And then one day a cunning plan utilising other bikes for a filmed training session, fell apart and it became clear that ‘now is the time’, and who knew that the Universe would agree entirely! There she was posted a few days previously – the perfect bike. Registered in the the UK (in 2003) with a right side car and 2 wheel drive and a pre-modification model ensuring it really is the easiest to fix without a shred of software in sight! Without the sufficient funds being raised yet, and Ural US being mysteriously silent, an epic effort was made, and thankfully no friends were lost in the process! suffice to say, I saw the bike advertised on the Wednesday and the money was in the bank by Friday! Was the Universe on my side? Hell Yes!!! I am completely humbled by the support I received in this process, not to mention extremely grateful! At this point I have to say that mentally I entered into a state of limbo regarding the project. It is a strange transition to experience between the planning something to happen, and a big shift forward in terms of it actually happening. I’m not sure even now that it has fully sunk in. The owner of the bike would not release it to me with out arranged training and so we arranged that he would drop it off at Motopodd Motocycles so that I could train on the bike before taking it home. Rod Young at Motopodd did a wonderful job of taking me through the paces in an empty car park, and what a revelation it was. You hear that driving a sidecar is very different from riding a motorcycle on it’s own, but nothing can quite prepare you for the sensation of that difference. I got to fully appreciate why the previous owner would not release bike without training! 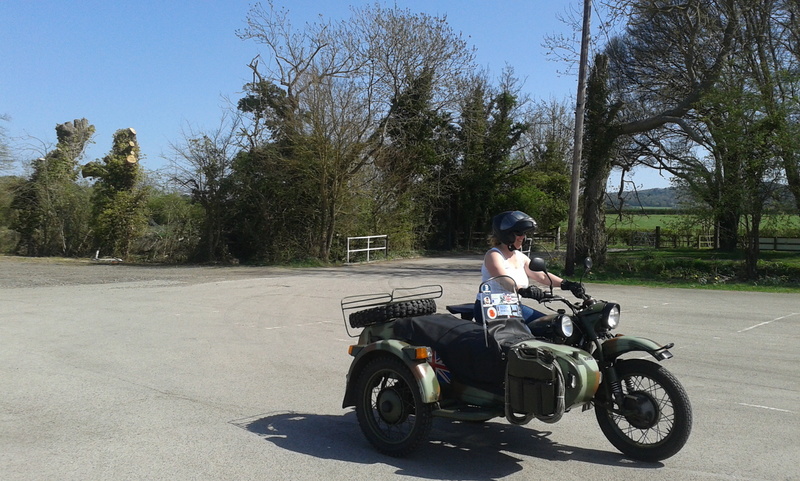 Suffice to say that I managed to have my first (an hopefully last) prang because I completely forgot the sidecar was there and scratched up a car on my first run around the block. Pleased to note that the outfit won hands down without so much as a mark on it! The ride home was pretty hairy though as it was 5pm when I hit the M25 (London circular road). whilst it was nice that the traffic was slow, as the bike was slow, I was presented with a whole new problem of getting used to drum brakes. With people trying to cut in, and random braking of traffic ahead, I have to say that I have never been more thankful for the existence of the hard shoulder where I ended up on a least one occasion! I’ve now had the bike for over a week, and in that time I have been riding it every day. As my confidence improves, so my appreciation for the choice I have made escalates. It really is the right bike for the journey we are planning. And the best thing about it, is that Sofia absolutely loves it! 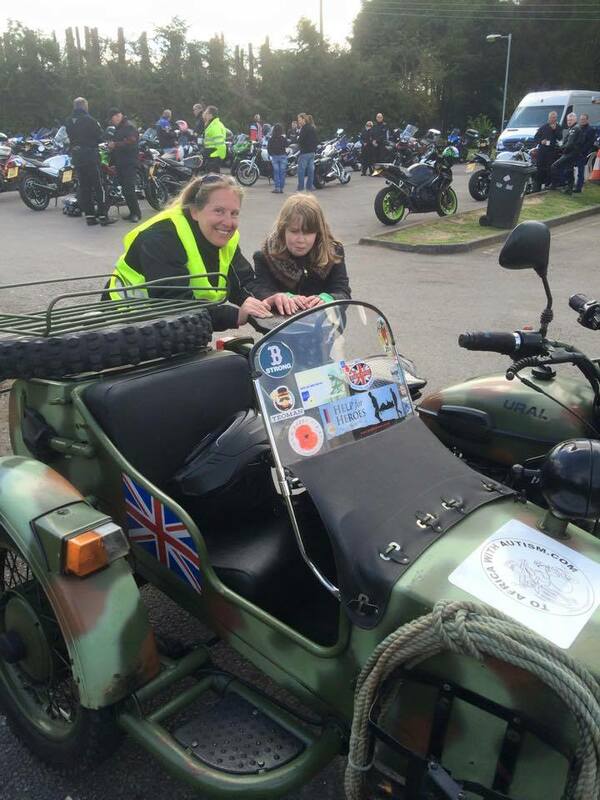 A whole day out with a local biker group, and she didn’t complain about being bored once. For those reading with kids, I’m sure you will understand what a huge win that is! 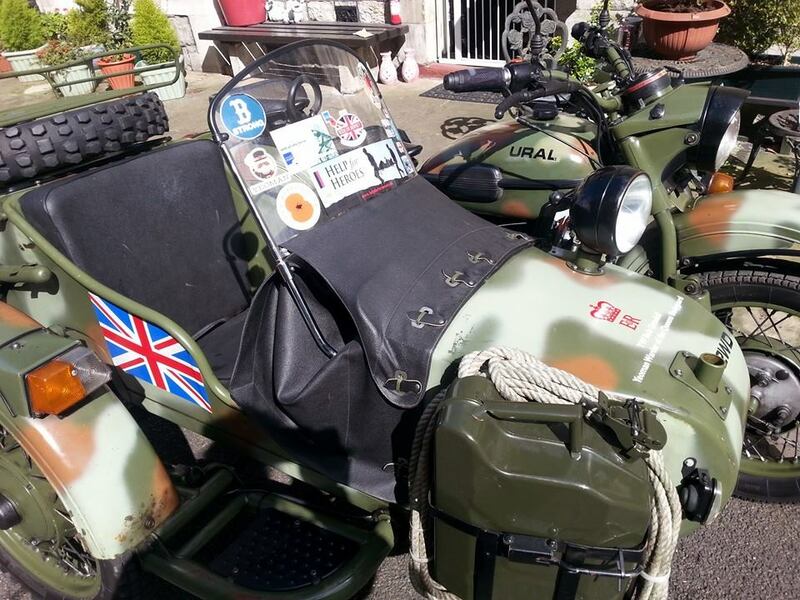 We still have some work to do on the bike, changing the colour being one of them, as army colours may not work out well for us in Africa. Also making ready with storage space and spares. We have the bike now though, and feeling like we are almost set to go! Previous Post3rd Month – Project Shifts into 3rd GearNext PostOnly Seven Months Left to Plan!